Owen Farrell adds the points for Saracens. Saracens make a substitution with Christopher Tolofua coming on. Saracens make a substitution with Jamie George coming off. Newcastle sub Jack Payne comes onto the field. Logovi'i Mulipola departs for Newcastle. Nick Tompkins makes the break as the defence re-enacts the parting of the red sea. 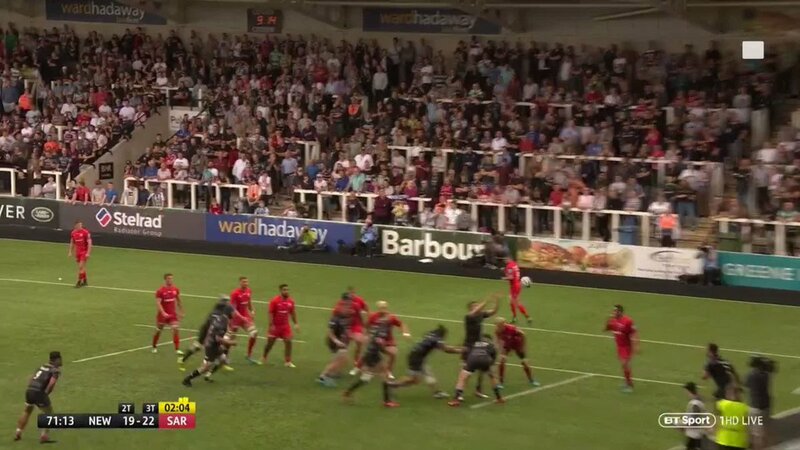 Spellbinding play by Brad Barritt is finished off with a try. Silky skills by Saracens ends with a try for Nick Tompkins. 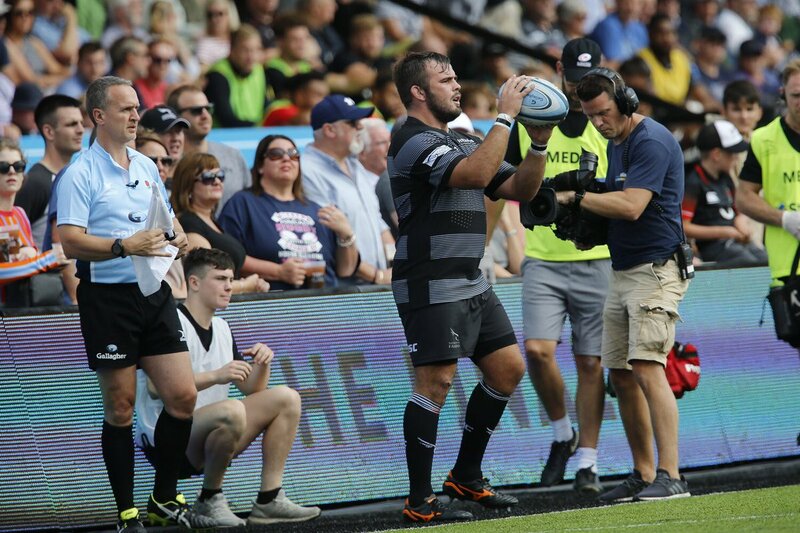 Fabulous play by Saracens has led to Jamie George being able to wriggle through a gap. Logovi'i Mulipola has made 10 good tackles so far this game. The Newcastle pack has powered over for Mark Wilson to score the try. Alex Goode (Saracens) is shown a yellow card. Trouble here as Simon Hammersley breaches the defence. Josh Matavesi has made 10 good tackles so far this game. Newcastle decide to make a substitution, with Callum Chick getting some game time. Newcastle decide to make a substitution, with Gary Graham being replaced. Saracens make a substitution with Sione Vailanu coming on. Saracens make a substitution with Michael Rhodes coming off. 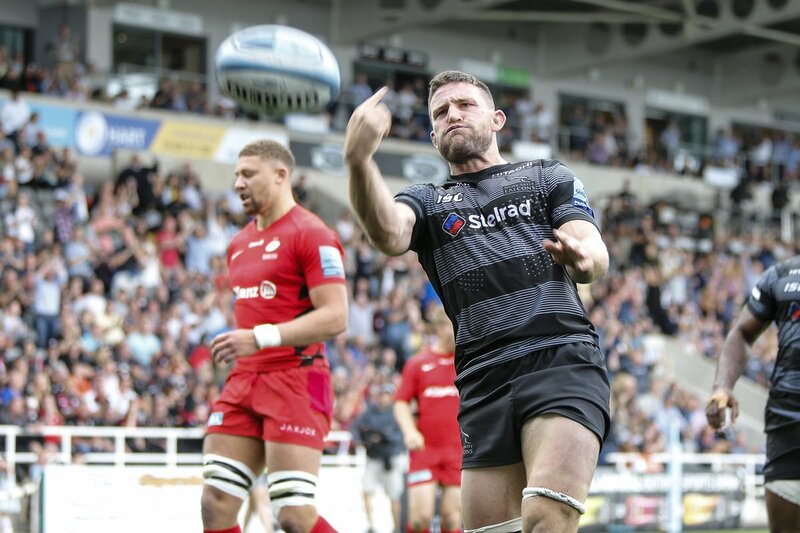 Nick Tompkins (Saracens) is shown a yellow card. Saracens sub Brad Barritt comes onto the field. Tom Whiteley departs for Saracens. Tevita Cavubati comes on for Newcastle. Will Witty leaves the field. Owen Farrell curls the ball too far, missing the posts to the right. 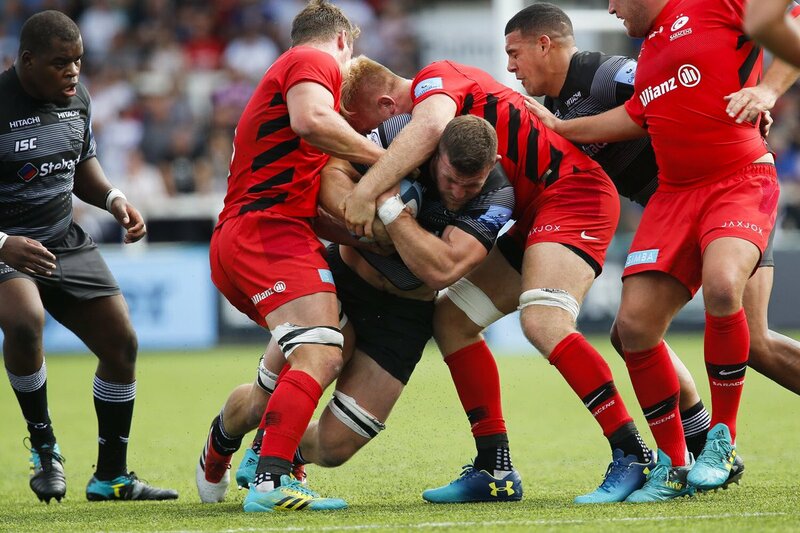 This is dangerous for the defence as Alex Lewington bursts through to advance the Saracens attack. 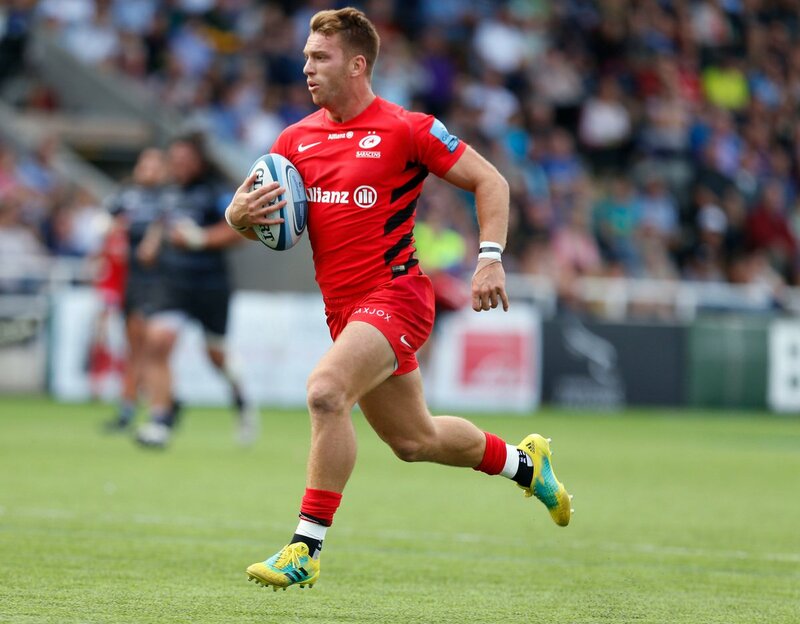 A wonderful passing move by Saracens is finished off by Alex Lewington. 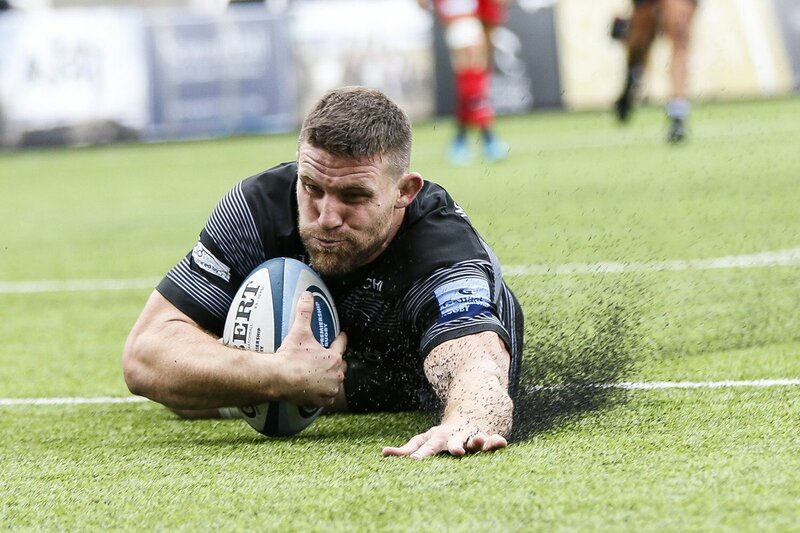 A stunning solo try from Mark Wilson. A gap opened in the defence and Mark Wilson took full advantage. The defensive line has been broken as Maro Itoje goes through the gap. 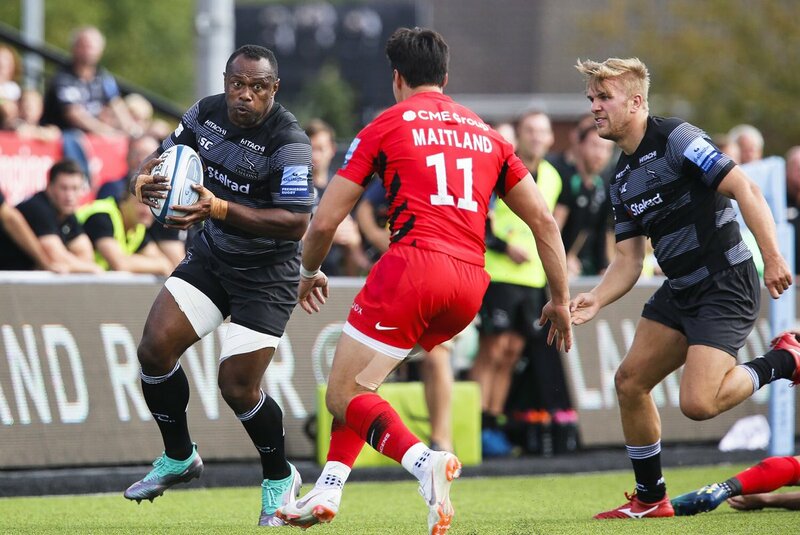 Saracens decide to make a substitution, with Nick Isiekwe getting some game time. 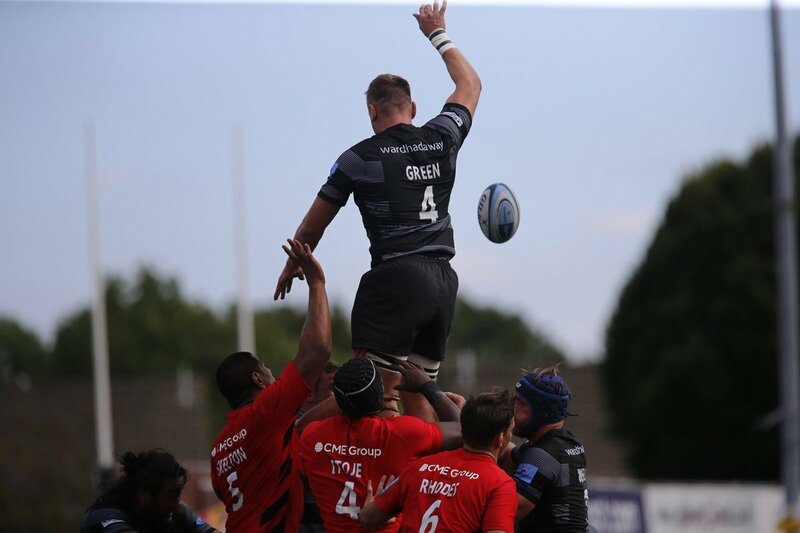 Saracens decide to make a substitution, with Will Skelton being replaced. Saracens make a substitution with Juan Figallo coming on. Saracens sub Richard Barrington comes onto the field. Mako Vunipola departs for Saracens. Callum Chick has made 10 good tackles so far this game. Nick Tompkins comes on for Saracens. David Strettle leaves the field. What a run here by David Strettle as they gets over the gainline!. 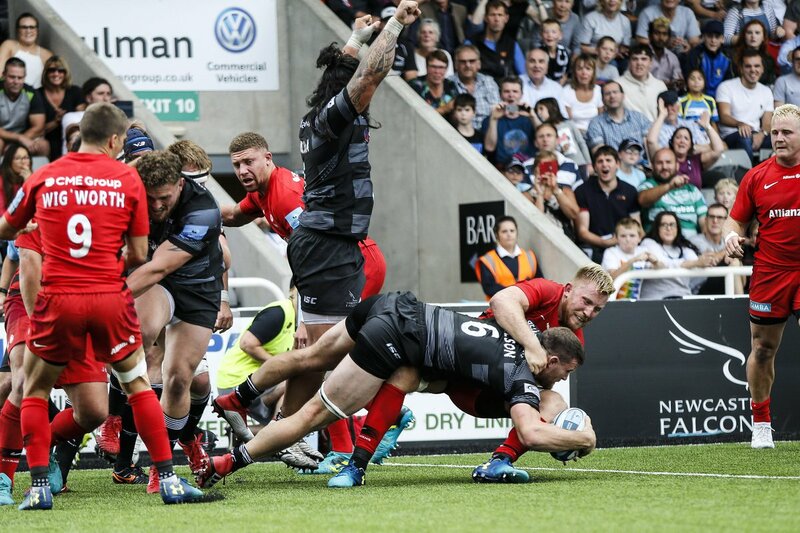 A series of passes by Saracens results in a try for Alex Lewington. Trouble here as David Strettle breaches the defence. This is dangerous for the defence as Callum Chick bursts through to advance the Newcastle attack. Saracens have a drop goal attempt through the boot of Owen Farrell, but he pulls it to the left. Great hands by Saracens leads to a try for Jamie George. @zoombini Sorry, Light ‘em Up. @zoombini Hi, it’s Light It Up by Fallout Boy, I’m reliably informed. RT @btsportrugby: "We want people to creative in rugby and try and find the edge. Brilliant play." @denismbell That's the point made in the article. It does benefit Ireland and Leinster are the envy of most. 80 | Farrell adds three points to seal victory! Penalty to Sarries, 28m out, going for goal. 74 | Tompkins returns from the bin. Saracens are back up to 14. Flood's conversion from wide right is OVER and it's Falcons 21 Saracens 22 with 8mins to play. We have a finish on our hands! 72 | Try for Newcastle. Wilson gets his second as Falcons drive over. Flood adds the extras. TRY FALCONS! Mark Wilson from a driving maul. Get in there! 70 | Sarries go down to 13 as Goode is sent to the bin. 67 | A beautiful Farrell grubber sends Saracens back into Newcastle's 22 as Koch returns for Figallo. 64 | Tompkins is sent to the sin-bin for leading with his forearm into contact. 64 | Barritt is back on after a successful HIA. Whiteley heads back to the bench. Rhodes is replaced by Vailanu. TMO reviewing a clear elbow/forearm to the face of Toby Flood. It looks bad.